Olin H. Weaver married Ida Kathryn Sanders on November 16, 1944, in an evening ceremony at the First Baptist Church of Williamson. He was a lifetime member of the First Baptist Church. He faithfully attended worship services until failing health curtailed his activities. He was a veteran of the United States Armed Forces. Olin Weaver and his wife, Ida Kathryn (nee Sanders) Weaver worked together to establish the Weaver Mortuary, Inc., opening the business in 1969. Ida Kathryn worked along side Olin and supported him in the operation of the business until his death on March 13, 2006. She was the secretary and treasurer of the corporation. Olin Weaver is survived by two beloved children, a son, John E. Weaver and his wife, Jamie Weaver of Williamson; a daughter, Deb Wilson and her husband, Dr. Steven C. Wilson of Williamson; four grandchildren, Jonathan and his wife Brittany Weaver, Alexis Weaver, Wesley Wilson and Spencer Wilson, all of Williamson; a sister-in-law, Peggy Weaver, of Williamson; two nephews, James W. Sanders and his wife, Nona Sanders of Lexington, KY and Terry Sanders of Williamson; three nieces, Susie and her husband, Greg Rayer of Lexington, KY, Tami Weaver Pinson and her husband, Raymond Pinson of Louisville, KY and Lisa Weaver VanHorn and her husband, Jeff VanHorn of Casper, WY; three great-nephews, Leif and Trevor Sanders and Chris Pinson; four great-nieces, Joy and Holly Sanders and Victoria and Elizabeth VanHorn and very dear cousin, Linda Rose and her husband, Clarence Rose of Oceana, WV. Ida Kathryn Sanders Weaver, 90, of West Williamson, passed away on Sunday, June 10, 2012, at the Appalachian Regional Hospital Skilled Nursing Facility in South Williamson, KY, following an extended illness. Born January 13, 1922, in Morgantown, WV, she was the daughter of the late Mabel Cook Sanders. In addition to her mother she is preceded in death by her beloved husband of 61 years, Olin H. Weaver; three brothers, U. O. Sanders, Jr., James D. Sanders and Harry W. Sanders; a sister-in-law, Charlotte O. Sanders; a very dear cousin, Jack Carnahan and his wife, Zola Carnahan of Oceana, WV and a brother-in-law, Ike Weaver. Ida Kathryn was a graduate of Williamson High School. She married the late Olin H. Weaver on November 16, 1944, in an evening ceremony at the First Baptist Church of Williamson. She was a member of the First Baptist Church for more than 70 years. She faithfully attended worship services until failing health curtailed her activities. 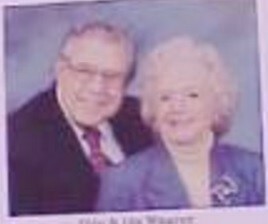 Olin and Ida Kathryn worked together to establish the Weaver Mortuary, Inc., opening the business in 1969. Ida Kathryn worked along side Olin and supported him in the operation of the business until his death on March 13, 2006. She was the secretary and treasurer of the corporation. Prior to their marriage she was a business office employee of the C & P Telephone Company where she established many enduring friendships. In earlier years, she was a very active member of the Williamson Junior WomenÃƒÂƒÃ‚ÂƒÃƒÂ‚Ã‚ÂƒÃƒÂƒÃ‚Â‚ÃƒÂ‚Ã‚ÂƒÃƒÂƒÃ‚ÂƒÃƒÂ‚Ã‚Â‚ÃƒÂƒÃ‚Â‚ÃƒÂ‚Ã‚ÂƒÃƒÂƒÃ‚ÂƒÃƒÂ‚Ã‚ÂƒÃƒÂƒÃ‚Â‚ÃƒÂ‚Ã‚Â‚ÃƒÂƒÃ‚ÂƒÃƒÂ‚Ã‚Â‚ÃƒÂƒÃ‚Â‚ÃƒÂ‚Ã‚Â¢ÃƒÂƒÃ‚ÂƒÃƒÂ‚Ã‚ÂƒÃƒÂƒÃ‚Â‚ÃƒÂ‚Ã‚ÂƒÃƒÂƒÃ‚ÂƒÃƒÂ‚Ã‚Â‚ÃƒÂƒÃ‚Â‚ÃƒÂ‚Ã‚Â‚ÃƒÂƒÃ‚ÂƒÃƒÂ‚Ã‚ÂƒÃƒÂƒÃ‚Â‚ÃƒÂ‚Ã‚Â‚ÃƒÂƒÃ‚ÂƒÃƒÂ‚Ã‚Â‚ÃƒÂƒÃ‚Â‚ÃƒÂ‚Ã‚Â€ÃƒÂƒÃ‚ÂƒÃƒÂ‚Ã‚ÂƒÃƒÂƒÃ‚Â‚ÃƒÂ‚Ã‚ÂƒÃƒÂƒÃ‚ÂƒÃƒÂ‚Ã‚Â‚ÃƒÂƒÃ‚Â‚ÃƒÂ‚Ã‚Â‚ÃƒÂƒÃ‚ÂƒÃƒÂ‚Ã‚ÂƒÃƒÂƒÃ‚Â‚ÃƒÂ‚Ã‚Â‚ÃƒÂƒÃ‚ÂƒÃƒÂ‚Ã‚Â‚ÃƒÂƒÃ‚Â‚ÃƒÂ‚Ã‚Â™s Club. Nearly 30 years ago she was the first women to serve as a jury foreman in the history of Mingo County. Ida Kathryn lived a long and full life. She loved and devoted herself to her husband, her children and her grandchildren. She enjoyed nothing more than being with her family. She was an avid and enthusiastic gardener. She could be found, almost daily, working in her yard, tending to her flowers, enjoying the sunshine and simply listening to the birds sing. She will be sorely missed and lovingly remembered always. Ida Kathryn is survived by two beloved children, a son, John E. Weaver and his wife, Jamie Weaver of Williamson; a daughter, Deb Wilson and her husband, Dr. Steven C. Wilson of Williamson; four grandchildren, Jonathan and his wife Brittany Weaver, Alexis Weaver, Wesley Wilson and Spencer Wilson, all of Williamson; a sister-in-law, Peggy Weaver, of Williamson; two nephews, James W. Sanders and his wife, Nona Sanders of Lexington, KY and Terry Sanders of Williamson; three nieces, Susie and her husband, Greg Rayer of Lexington, KY, Tami Weaver Pinson and her husband, Raymond Pinson of Louisville, KY and Lisa Weaver VanHorn and her husband, Jeff VanHorn of Casper, WY; three great-nephews, Leif and Trevor Sanders and Chris Pinson; four great-nieces, Joy and Holly Sanders and Victoria and Elizabeth VanHorn and very dear cousin, Linda Rose and her husband, Clarence Rose of Oceana, WV. The family will receive friends from 6 pm to 9 pm, on Tuesday evening, June 12, 2012, at Weaver Mortuary in West Williamson. Funeral services will be conducted at 11:00 am, Wednesday, June 13, 2012, at the mortuary. The Reverend Jarrod Belcher will officiate. Interment is in the Mountain View Memory Gardens at Maher, WV. Pallbearers include John E. Weaver, Jonathan Weaver, Dr. Steven C. Wilson, Wesley Wilson, Spencer Wilson, James W. Sanders and Terry Sanders. The men of the First Baptist Church will serve as honoray pallbearers.